Passive Infra Red (PIR) sensor with a very small dimension that is only 27 mm x 10 mm. This sensor detects infrared waves emitted by the human body at a radius of 5 meters and then sends the data to the microcontroller in the form of TTL signals. It is ideal for building security applications. 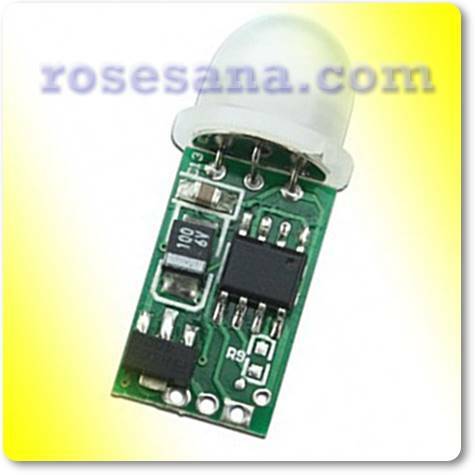 - The size is smaller than the AA battery, which is only 27 mm x 10 mm only. - Radius sensory far enough that is in the range of 5 meters.